Former Louisvillian Max Macon, a former major-league pitcher and a local high school and college basketball referee, died Saturday in Jupiter, Fla. He was 73. Macon made his big-league debut with the St. Louis Cardinals in 1938 after going 21-12 with Columbus of the American Association the year before. The left-hander was 4-11 in his lone season with St. Louis. After pitching in the minor leagues in 1939, Macon was sold by the Cardinals to the Brooklyn Dodgers, for whom he pitched in 1940, '42 and '43. He pitched in one game in 1944 and in 1947 for the Boston Braves. His career record was 17-19 with a 4.24 earned run average. 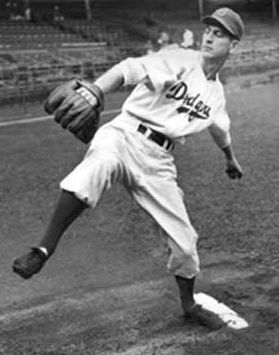 Macon later managed St. Paul, a Dodgers farm club in the American Association, from 1956 through 1959 and was succeeded by Danny Ozark. He then scouted for the Dodgers. Survivors include his wife, Jackie Rose Macon of Jupiter, a son, Max R. Macon of Miami Lakes, Fla.; and a brother, A. Leon Macon of Pensacola, Fla.